There is so much I could write about Aretha Franklin, the Queen of Soul but I decided to concentrate on the highlights of her music career and her “social and civic contributions”. Aretha Louise Franklin was born on March 25, 1942 in Memphis, Tennessee. Her father, Clarence LaVaughn “C. L.” Franklin was a Baptist minister and a circuit preacher while her mother, Barbara was an accomplished piano player and vocalist. Theirs was a troubled marriage because of her father’s philandering. The couple separated in 1948. Before her tenth birthday, Aretha’s mother died from a heart attack. Several women, including her grandmother and Mahalia Jackson alternated helping the children at the Franklin home and it was during this time that Aretha learned to play the piano by ear. Following her mother’s death, Aretha began singing solos at New Bethel, debuting with the hymn, “Jesus, Be a Fence Around Me.” When she was twelve, her father became her manager, bringing her on the road with him during his “gospel caravan” tours for her to perform in various churches. Her music career found Aretha signing on with big recording giants such as Columbia, Atlantic, Arista and RCA. She belted out many hits such as You Make Me Feel Like a Natural Woman, I Say A Little Prayer, Hold On, I’m Comin’. And she thrilled the younger generation with Who’s Zoomin’ Who and Freeway of Love. Hearing Freeway of Love transported me back to the ’80s which were a great time for me when I was living in New York. And who could forget I Knew You Were Waiting For Me, her number one duet with George Michael? In 1980, she gave a command performance before the Queen at Prince Albert’s Hall, in 2009 she sang at the 2009 inauguration of President Barak Obama. In the following year, she received an honorary degree from Yale University. In 2014, she received honorary degrees from Harvard University and New York University as well as honorary doctorates in music from Princeton, Yale, Brown, Pennsylvania, Berkeley, New England Conservatory of Music and University of Michigan. She was the recipient of other honors such as Doctor of Humane Letters and Doctor of Law degree. Singing and music weren’t her only passions. Aretha was a civil rights activist. Throughout her life, she was involved in the struggle for civil rights and women’s rights. When Angela Davis was jailed in 1970, Aretha told Jet Magazine that, “Angela Davis must go free… Black people will be free. I’ve been locked up (for disturbing the peace in Detroit) and I know you got to disturb the peace when you can’t get no peace. Jail is hell to be in. I’m going to see her free if there is any justice in our courts, not because I believe in communism, but because she’s a Black woman and she wants freedom for Black people.” Not surprisingly, her songs “Respect” and “Natural Woman” became anthems of these movements for social change. She was also a staunch supporter of Native American rights, supporting their struggles worldwide and movements which fostered their cultural rights. It was a sad day when it was announced that the great Aretha Franklin passed away after losing her battle with pancreatic cancer. She leaves behind a world touched by her music, her incomparable voice and her effortless work in championing human, civil and women’s rights. She was the first woman to be inducted in the Rock and Roll Hall of Fame. She received the Presidential Medal of Freedom in 2005. In 2013, she was again ranked first in Rolling Stone magazine’s “100 Greatest Singers” list. “American history wells up when Aretha sings. Nobody embodies more fully the connection between the African-American spiritual, the blues, R&B, rock and roll—the way that hardship and sorrow were transformed into something full of beauty and vitality and hope” – President Obama in response to her performance of “A Natural Woman” at the 2015 Kennedy Center Honors. Notes to Women salutes the woman with “the voice of the civil rights movement, the voice of black America” and a “symbol of black equality” She was an inspiration not only for those in the music world but for all of us. Although she is no longer with us, her music, her legacy will live on. fly off to any part of the world. Life was great. Couldn’t be better. Yet, she knew she lacked something. It nagged at her. She knew what it was. Did only twice a year. Her reaction was the same as the rich young man’s. How could she give it all up? You give up all that you have for Him? What would become of her? What would her family and friends think? She was not ready to change her lifestyle. Don’t put off your salvation. Help Missionaries go farther, faster with bicycles. Help them to reach more people in one day for Jesus. As much as I like walking, I don’t relish the thought of walking everywhere–not even for one day. I have access to buses, trains, streetcars and taxis. It’s not a problem for me to go to several places in one day to share the Gospel. However, this is not the case for a South Asian missionary. Transportation can be a real burden for many Gospel for Asia supported missionaries who spend grueling hours walking from one village to another. Check out this video to get an idea of what it’s like not to have reliable transportation like a bicycle and consider how having one would be a tremendous blessing not only to the missionary but to those whom he or she would minister to. Bicycles offer reliable transportation with little cost. You can donate a bicycle for just $110. Missionaries won’t have to waste precious time walking from village to village. By riding a bike, they can minister to more people. Bicycles are easy to repair,making travel consistent and reliable. Parts are readily available and the cost of maintenance is low. When you donate a bicycle, you help take the Gospel to more unreached villages. Just put yourself in the missionary’s shoes. Wouldn’t you prefer to travel to three times as many villages to share the love of Jesus? Two wheels are faster than two feet! Consider donating a bicycle. Remember those times when you and he were dating how you used to be on the phone for hours? You never seemed to run out of conversation. There were no awkward moments. The conversation just flowed. And when you were together, the time just seemed to fly because you were having so much fun? And the only times you were not together was when you were at work. There were those occasions when you were with your family but more often than not, you were with him. It was torture being apart and total bliss when you were together. There were times when you would go out with other couples but for the most part, you and he preferred to be alone, enjoying each other’s company. Things quickly got serious between the two of you and pretty soon you are planning your wedding. The big day finally arrives and you walk up the aisle, your eyes sparkling with excitement. Your heart leaps when you see him standing there, smiling at you. You gaze at each other as the vows are exchanged and then the minister pronounces that you are husband and wife. After you kiss, you stroll arm in arm down the aisle in the midst of a sea of smiling faces. After the reception, you go on your honeymoon where you enjoy a week in paradise, wishing you could stay there for the rest of your lives. Suddenly it’s no longer just the two of you. Now there are four of you. In my case, there are three of us. When I was on maternity leave, I was so happy when my husband came home. I needed adult conversation and company after spending all day with a baby/toddler. I didn’t feel attractive so I didn’t feel romantic. We didn’t have anyone to babysit and we didn’t feel comfortable getting a stranger to do it so we were stuck. We couldn’t go out for a romantic dinner. We had to settle for entertaining ourselves at home while trying not to disturb our son. Now, it’s a matter of trying to find time for each other. During the week, it’s a challenge. By the time we come in from work, we are tired. Sometimes we have to prepare dinner. After we eat, we have to spend time with our son before he goes to bed. Then we have to clean up and have our baths. By the time we are finished doing these things, there’s not much time for us to relax. We have gotten into a rut where we end up watching television or a movie instead of spending quality time together. We don’t talk as much as we used to. We are not bonding as we used to. It’s not much different on the weekends. Our son and other things demand our attention. And there is hardly any “us” time. When a couple doesn’t spend quality time together, their relationship suffers. The spark starts to flicker and if nothing is done about it, it will go out. Ladies, what can we do to keep the spark alive? I came across these tips which I plan to put into action. I hope you will find them helpful too. Instead of writing the tips word for word, I rephrased them as best as I could. Go out for a date. Set up a date night schedule. This will help you to have quality time together and reconnect after a hectic week. It gives you the opportunity to appreciate each other and to unwind. It’s nice to surprise your spouse from time to time. It can be as simple as leaving a note on the fridge or flowers at the office or tickets to a fun event. Make a special meal for each other. Dress up sometimes. Make time for each other. It’s not easy when you have children but you must make the effort. Without your marriage, there would be no foundation for your family. Besides, you will be setting an example for your children when it comes to good/bad relationships. Set a good example. Make sure that your spouse knows how much you value them and that life wouldn’t be the same without them. Don’t assume that they know this. Tell them. Show your spouse how much they mean to you not only in words but in actions. Hug and kiss them. It’s hard to be spontaneous when you are raising a family and juggling so many things at once but it’s a good idea to change things up a bit. Instead of your regular dinner plan, how about having a picnic or eating out? Instead of staying in over the weekend – go out. Be adventurous and steer away from the norm. Spontaneity in your life will help to keep the spark alive (Belief Net). This is a way of breaking out of a routine. You can sneak in a quickie before making dinner. Show each other the same respect you did when you were dating. Let others know that it is an honor for you to be with the one you love. 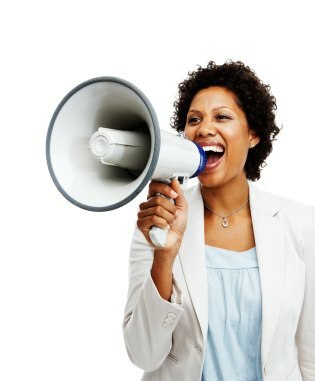 Speak kindly and listen to one another again. You don’t have to give elaborate gifts. A random card with a note letting them know you are thinking about them would do very nicely. Ask each other questions like you are meeting for the first time. You might find out that the things you thought were true or what may have been true 20 years ago isn’t the case anymore (What Christians Want to Know). Talk to couples who have been married for 40 years and over. Find out the secret of their success. Have fun trying to keep the spark alive in your marriage. If anyone has any tips they would like to share, I would love to hear from you. “Today, the diagnosis and treatment of leprosy is easy and most endemic countries are striving to fully integrate leprosy services into existing general health services. This is especially important for those under-served and marginalised communities most at risk from leprosy, often the poorest of the poor” (WHO: Leprosy Today). I learned about leprosy from reading the Bible and watching the movie “Ben Hur” but always believed that it was a disease of those times. After watching Leprosy Mission, I realize that it is very much a reality. I never saw how disfiguring it was until I watched the faces of men, women and children who were living with it. I was touched when I read the story of Kishori, a woman who was diagnosed with leprosy during her second pregnancy. Unable to take medications that would restrict the sickness from spreading she watched as the disease disfigured her arms and legs. For years the leprosy racked her body with pain. The medication she took hardly reduced her symptoms and the one hour walk to the hospital where she hoped to find relief took four hours because of the excruciating pain in her feet. The treatment she received brought some relief but the pain returned when the sores did and Kishori found herself sinking into emotional despair. Kishori was not abandoned by her husband, Manit but their neighbors were cruel and unfeeling and demanded to know why he kept her with him and didn’t send her home to her parents. Manit insisted that he would not abandon Kishori and reaffirmed his love for her even though she sided with the neighbors and told him that she would go and live with her parents. She wondered why he was still married to her. The words of her neighbors cut her deeply and she shied away from being with others. She lived in emotional and physical agony, feeling neglected and unwanted. After decades of living the emotional and physical pain of leprosy, Kishori found relief in an most unexpected way. Visitors came to her door and offered to clean her sores. She gladly received Pastor Jiva and another missionary into her home and she saw them everyday as they returned to minister to her. Her feet and arms soon began to heal. Kishori and her family listened as the missionaries shared how Jesus could completely heal her. No doubt they shared the story of the leper who went to Jesus and imploring Him, kneeling down to Him and saying to Him, “If You are willing, You can make me clean.” Then Jesus, moved with compassion, stretched out His hand and touched him, and said to him, “I am willing; be cleansed.” As soon as He had spoken, immediately the leprosy left him, and he was cleansed (Mark 1:40-42). After years, decades of pain and despair, hope became alive in Kishori. She learned about Jesus who could heal her. She was encouraged to pray for healing. She received kindness from Pastor Jiva and the missionaries who continued to visit her and clean her sores. They assured her of Jesus’ love. As a result of this outpouring of love and compassion, Kishori placed her hope in God. She and her family are now attending a local church. This story ends on a very positive note. Kishori is completely healed of leprosy because of the God in who she had placed her hope and the Jesus whom she had trusted to heal her. 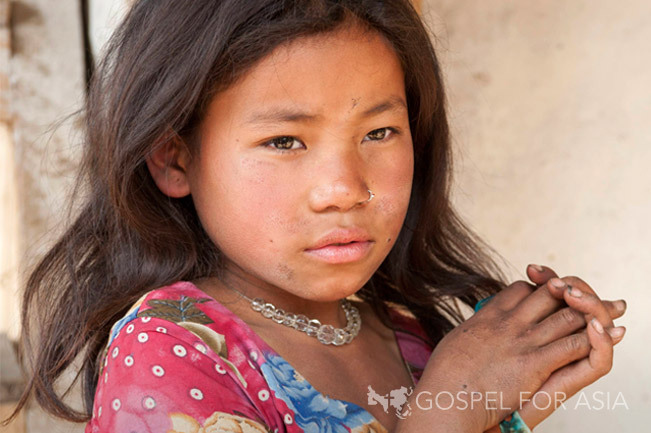 God continues to care for her through the Gospel for Asia’s Leprosy Ministry. Thanks to this ministry Kishori has received a pair of shoes specially designed for her and other gifts such as mosquito nets, blankets and daily meals. Life is better for Kishori now. She is able to care for her family instead of begging on the streets for help. Her home which was once a place where she hid from society and life, is now filled with laughter and love. God healed Kishori in body and mind. He brought hope, love and healing into the life of a recluse. He showed Kishori that there is a God who cares for her. Just as her husband could not abandon her because he loved her, God did not abandon her because He loved her. He sent Pastor Jiva and the missionaries to care for her. 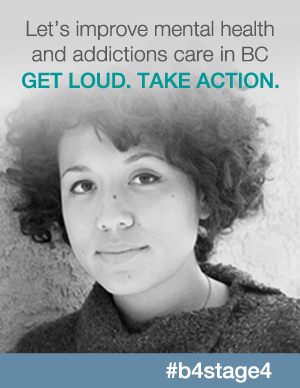 Kishori’s story inspires me. It reminds me that God cares. He cares for the neglected and unwanted. And no matter how long it takes, He will always come through for us. 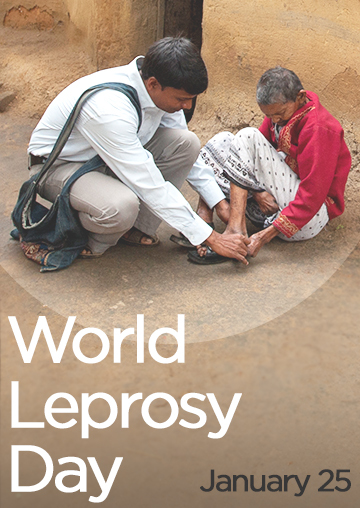 Help Gospel For Asia to bring hope and God’s healing to another person living with leprosy by visiting their Leprosy Ministry webpage at: http://www.gfa.org/leprosy.